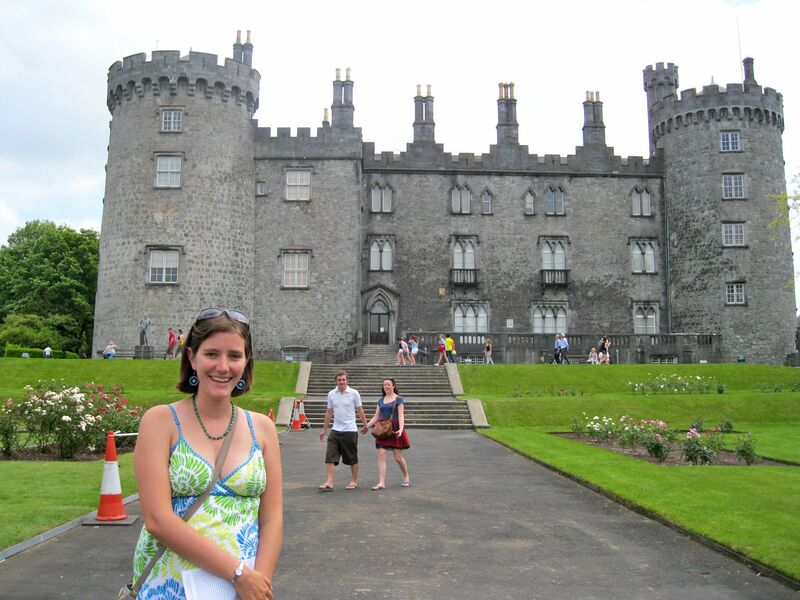 Kilkenny: The Perfect Irish Town | Where is Yvette? I spent an unexpected few days in Ireland on my way home to the United States from Europe, but as everyone knows this is no great hardship. I’d visited the country two years ago so I was determined to explore a few places I missed the last time around, which is how I ended up spending a few days in Kilkenny, about 90 km southeast of Dublin. 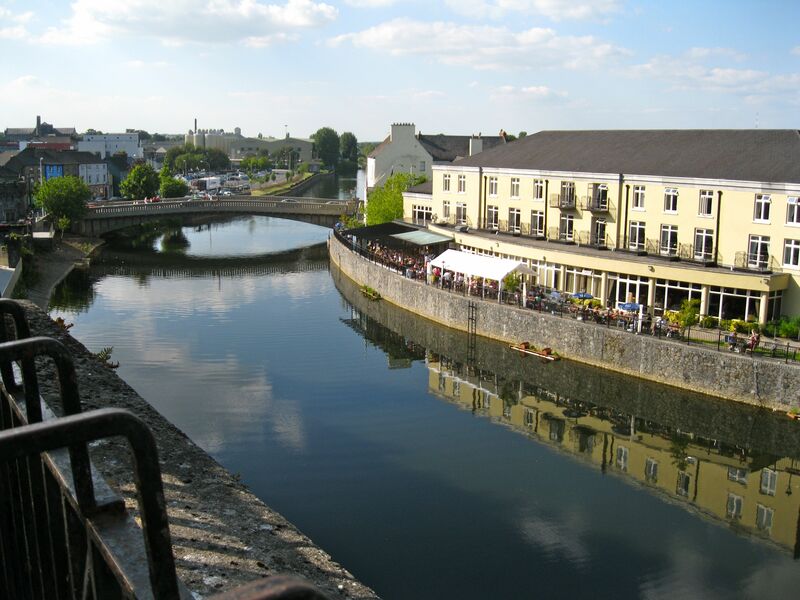 And I am so glad I did because it turns out Kilkenny is the perfect Irish town! So what do I mean by this? Well when people think of Ireland my bet is they invariably think of a nice little town with a nice castle and cathedral and such to explore, where amateur musicians play trad in the pubs, and isn’t completely inundated by tourists. Kilkenny has all of this easily, and when you happen to show up for the first weekend of June and discover warmth and blue skies all around, well! 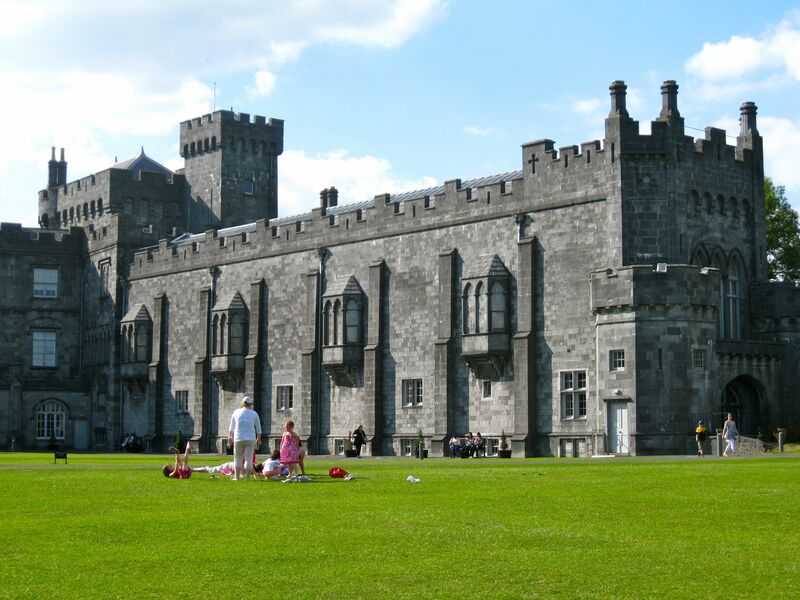 To begin with, the most famous landmark in Kilkenny is the creatively-named Kilkenny Castle, which is just as lovely and proper a place as you’d expect for English nobility ruling the local populace with an iron fist for centuries. The castle was finally transferred to the city in the 1960s and is lovely inside though you can’t take pictures, but the real advantage here is how the grounds are now a public park. The grounds were so extensive that I am convinced it has to be one of the biggest “park size to population” ratios I’ve ever encountered. 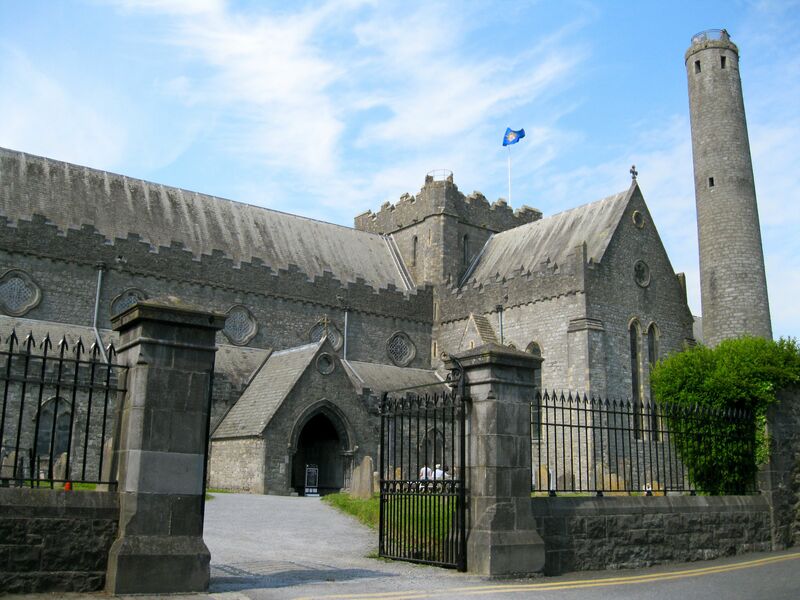 Another very nice Interesting and Important Local Place is the St. Canice Cathedral which dates to the 13th century and is lovely and tidy inside and out. My favorite thing here though is the Irish round tower to the right of the cathedral itself- it like most others in the country dates to the 8th century, and while no one’s certain exactly what they were used for the current bet is they were bell towers. 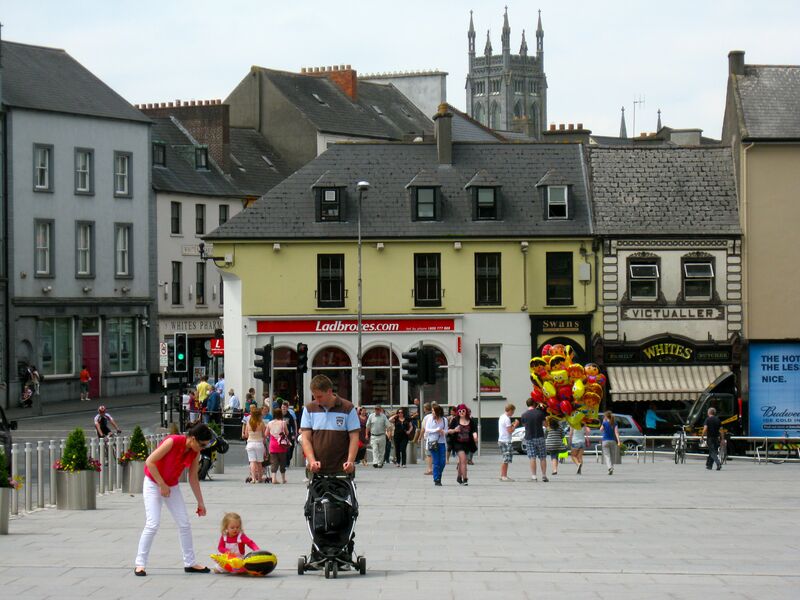 Unlike many other tourist towns in Ireland, the trad players in Kilkenny were just there because they wanted to play. Nothing against the ones good enough to get paid, of course, it’s just I’m rather in love with the concept of amateur trad since I dabbled in it on my last trip. The other bit of entertainment I was up to that weekend by the way was comedic as the annual Cat Laughs Comedy Festival, Ireland’s biggest, was in town that weekend. Tickets weren’t that cheap but it was exactly the sort of fun you’d expect from a bunch of Irish comedians over a few pints, though you should probably best remember Irish humor is rather unabashed. The crazy thing though was even though it was the most touristy weekend of the year there were hardly any tourists in Kilkenny, and most of the people around were locals who came in from the surrounding area and what not. Only place I’ve ever been to in Ireland where I didn’t meet another American the entire weekend! 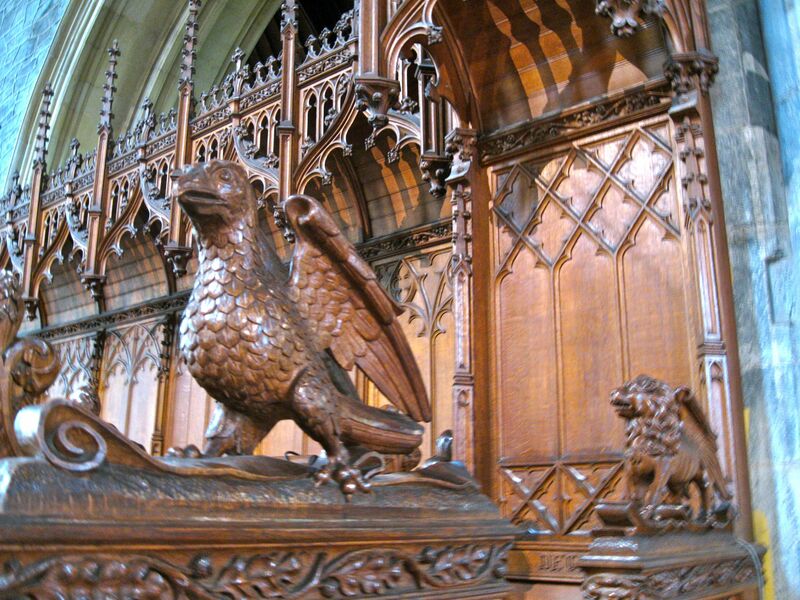 This entry was posted in Ireland, RTW #2. Bookmark the permalink. Glad I found this post. I love Ireland and collect all the info I can on it.Love that you can climb the round tower. This just went on our to-go list for our next visit. 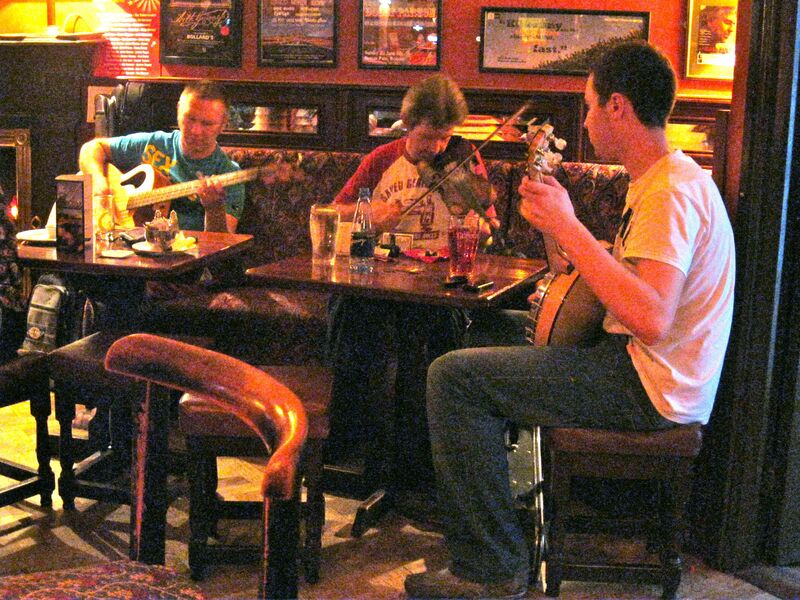 BTW if you like Ireland, we’re doing a series on it on our blog, Santa Fe Travelers. (http://www.santafetravelers.com). Fantastic photos and words. It certainly is a beautiful ancient city and we’re blessed in Ireland to have many more such places. Thanks for sharing your memories. 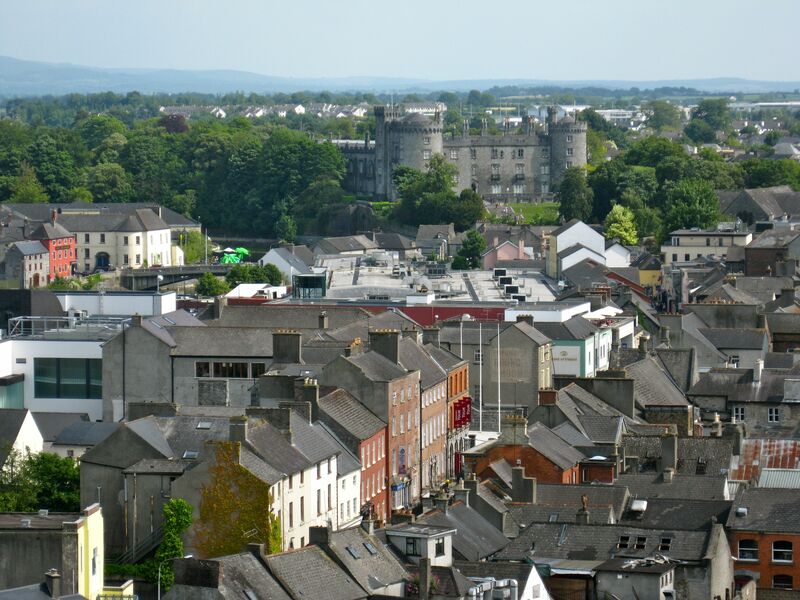 Live in Kilkenny and have to agree it is a lovely town… Glad you enjoyed your visit… Was walking in the Castle grounds the other day and was thinking just how big and beautiful it is..
COME BACK SOON THE CRAIC WILL BE GOOD! !